As part of Month of the Child & Child Abuse Prevention Month-- this South County event runs 11 am to 2 pm at the Nipomo Community Park. 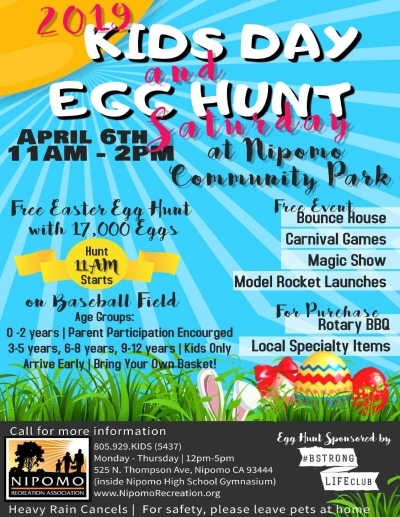 There will be a bounce house, egg hunt and Rotary returns to provide the BBQ! .